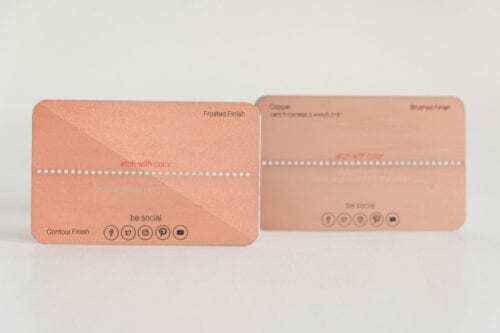 Pure Metal Cards offers the widest range of metal cards available in the market. 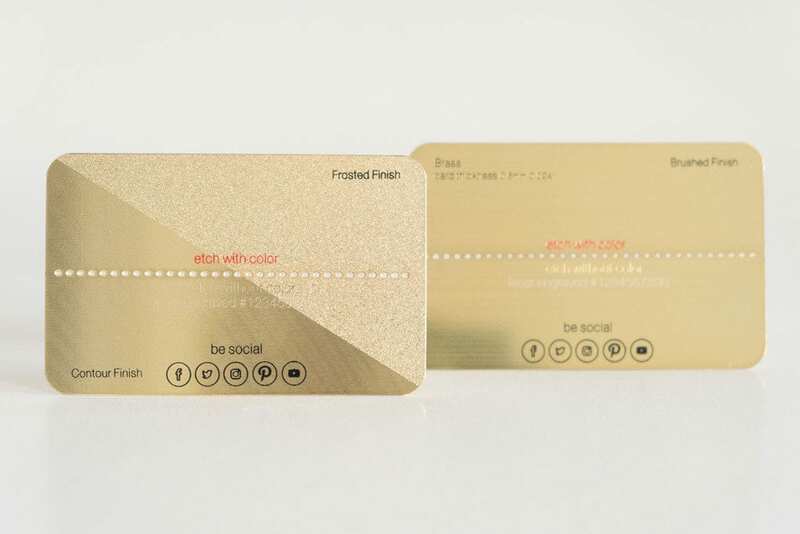 Let us send our samples to help you choose which metal, card finish or card thickness is ideal for you. Please complete the form below and we will send you a set of sample cards to review. 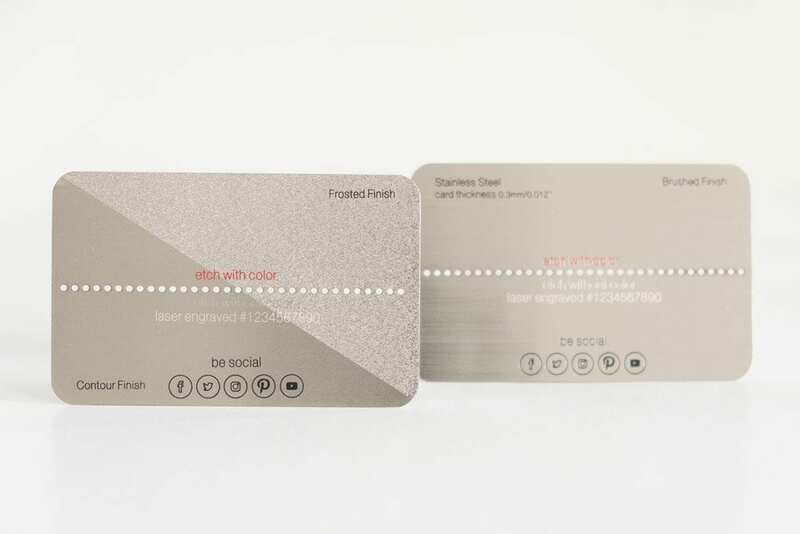 Our sampler cards are designed to show each of the features we can add to your card. 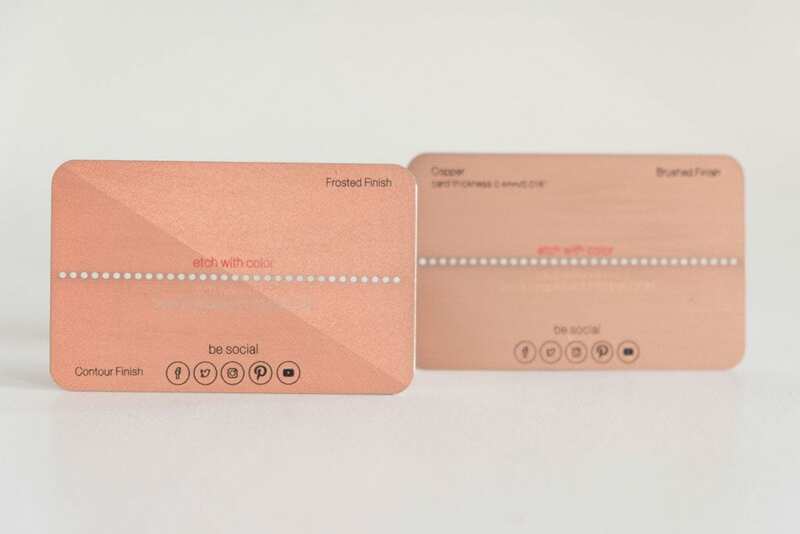 We do not send actual customer cards as samples; instead, we create our own designs. 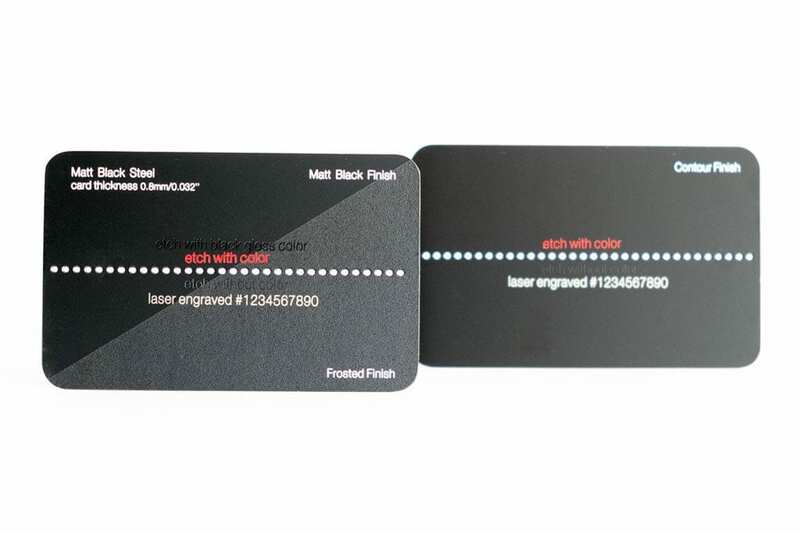 We will send you the metal samples you request by registered post. We request a payment of US$14.99 to cover shipping and admin. We would provide you with tracking details too. We would refund this cost against your first order with us. For payment, we would send you a Paypal payment request. 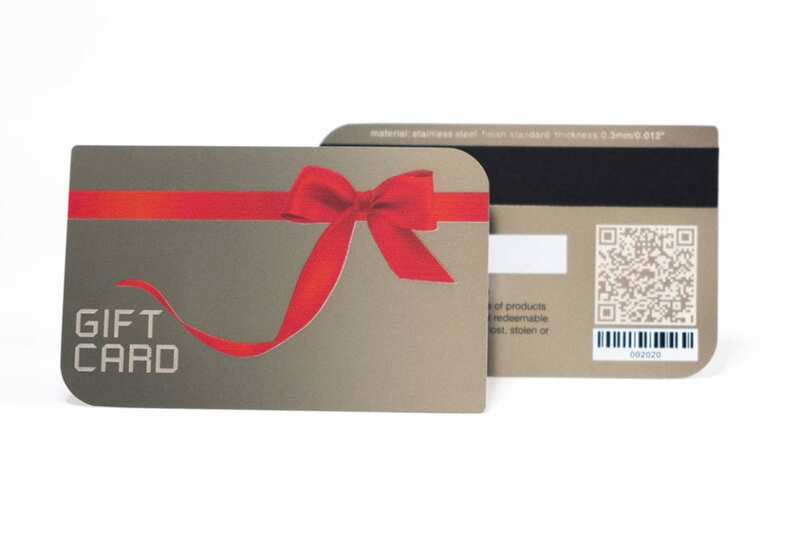 This can be paid by credit card, even if you do not hold an account. 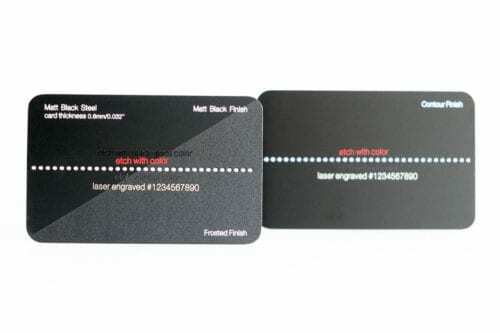 The metal sample cards we will send will be as shown below or similar.